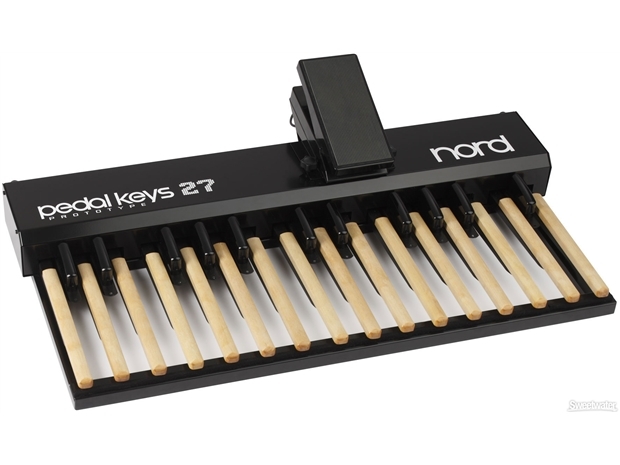 "This MIDI pedalboard has 27 keys and an integrated Swell pedal, with a sturdy chassis of aluminum. The long keys have a wooden finish and a length of 350 mms, to facilitate the use of a proper toe-heel technique when playing. It is very portable weighing in at only 15.5 kg, 34 lbs. Just connect it to the C2's Bass Pedal MIDI Input and you are ready to perform.